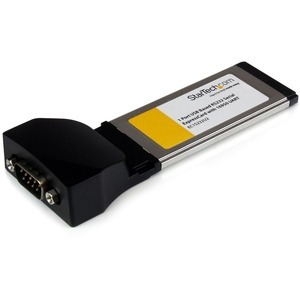 Add a USB-based RS232 Serial port to your laptop through an ExpressCard slotThe EC1S232U2 ExpressCard RS232 Serial Adapter Card (USB-based) (16950 UART) adds an RS232 (DB9) serial port to your ExpressCard-equipped laptop, enabling you to connect an RS232 serial peripheral device such as a plotter, digital signage device, receipt printer or bar code scanner through an available ExpressCard slot.This USB-based ExpressCard supports RS232 serial data transfer rates up to 460 Kbps and eliminates the need to upgrade serial peripherals to more modern interfaces (e.g. 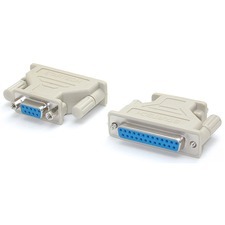 USB, etc.) for the sake of host compatibility, saving both expense and hassle.Backed by a StarTech.com Lifetime warranty and free lifetime technical support.